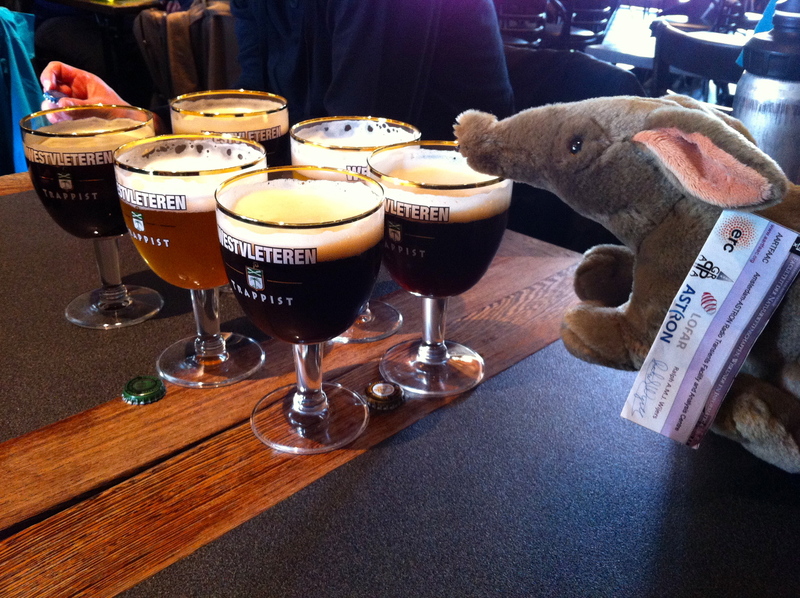 Artie Aardvark’s Belgian Beer Adventure Continues | Where is Yvette? Here is the beer we bought for everyone at the table, complete with the bottle caps for the beers we purchased. They make three different kinds of beer here and lots of people who drink a Westvleteren will keep the bottle caps to prove they’ve drunk it! I really wanted to keep a bottle cap so I set to work on one of the glasses! I don’t know if it’s the best beer in the world and if it would be called that if it weren’t so hard to get, but it is very nice! 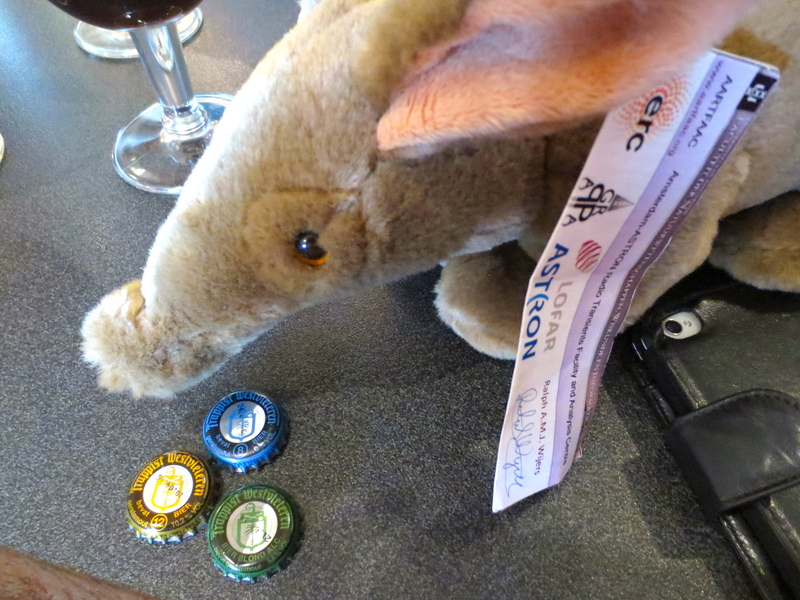 Me taking a post-drinks siesta: the beers here are 8-12% in alcohol, so even a few sips from one is not good for an aardvark’s system! 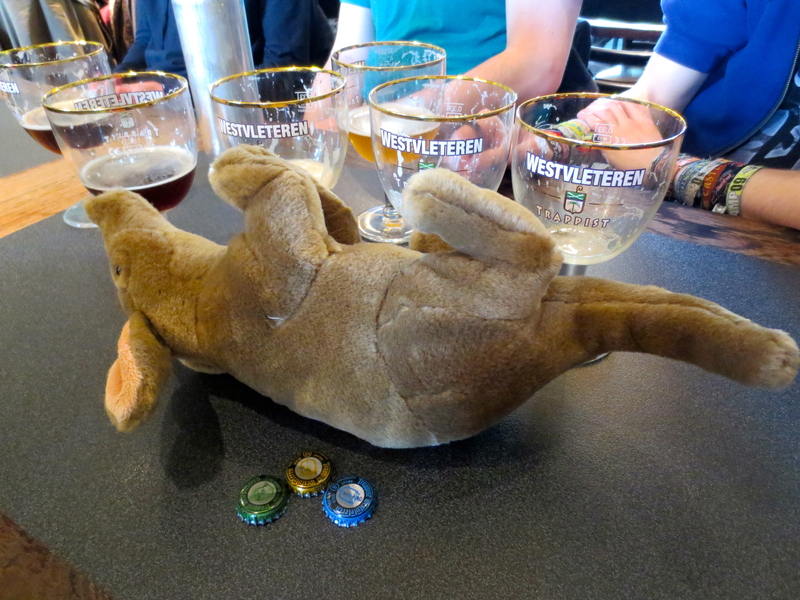 After Westvleteren, we headed north back towards the Netherlands. We did a short pit stop though at a pub just next to the Kasteel brewery, which used to do tours but no longer does due to some inheritance dispute that sounded very silly to me. 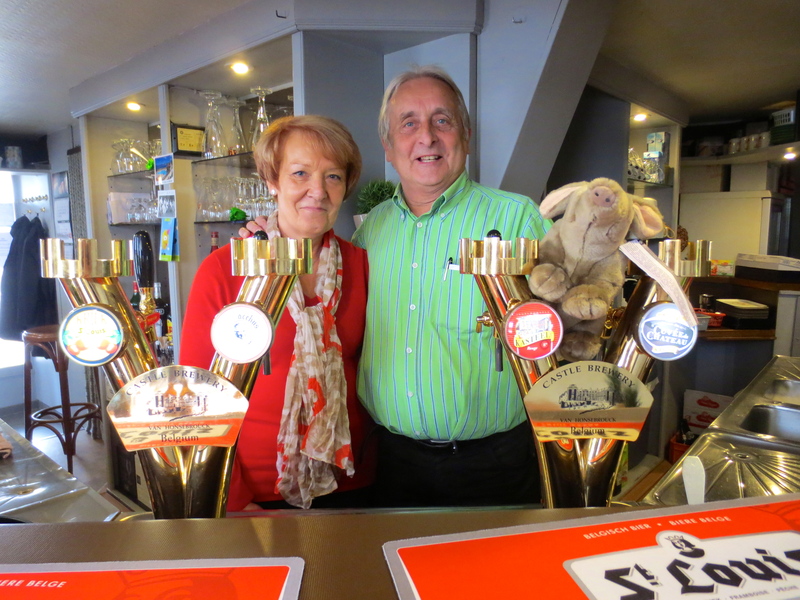 But it worked out alright if you ask me, as I made friends with this very nice Belgian couple who let me explore the taps! Finally in the evening it was time for one last stop for dinner at Westmalle trappist brewery right next to the border with the Netherlands. 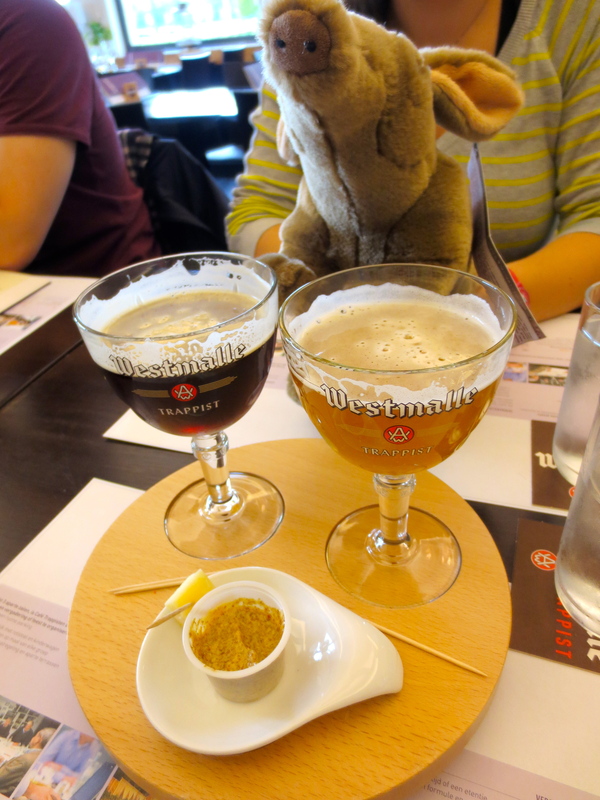 Westmalle makes two kinds of beer, one light and one dark, so it’s easy to distinguish the kinds they make! After that, it was time to go home to Amsterdam and spend a little time recovering from my adventure on Yvette’s bookshelf. (I spend a lot of time hanging out there and reading when I’m not exploring.) 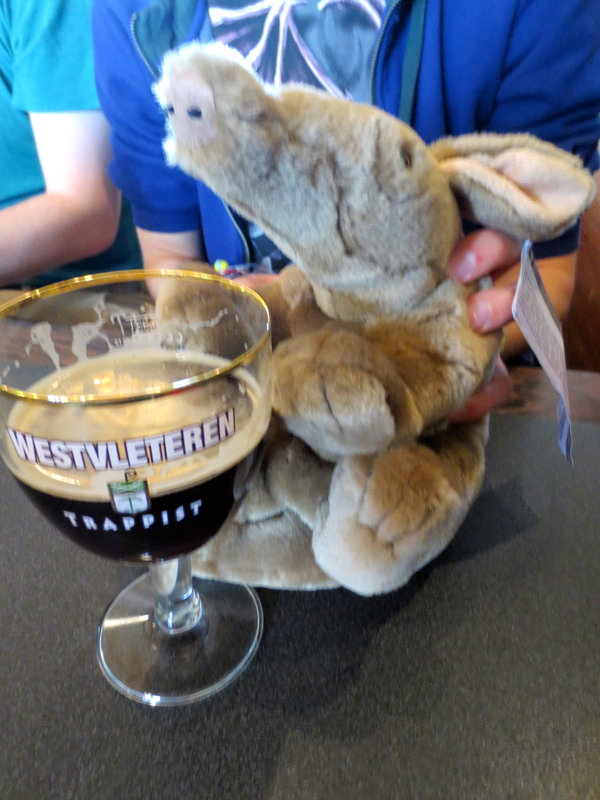 I really enjoyed my weekend in Belgium and think my favorite brewery was Westvleteren- it might not be the world’s best beer, but it’s still very good, and it’s fun to visit famous places! Though I think I should petition them next time for an aardvark-sized glass of the stuff!